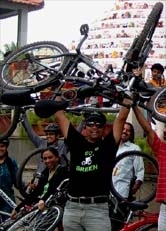 GoGreen Campaign Ride towards Omkar Hills & Srikanth's residence @ Uttharhalli. - GGI-Group size: 4000+ Professionals, Increasing on day to day basis, Come & join us 2 serve Mother Nature. 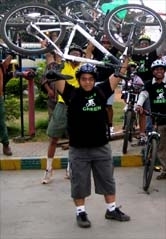 GoGreen Campaign Ride towards Omkar Hills & Srikanth's residence @ Uttharhalli. 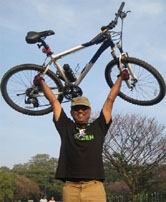 Since Omkar hills is Situated @ 2,800 ft above sea level hence the steep was almost more than 45degre, which can be climbed by d cyclist if he is prepared to do it right from d beginning. There was not enough space for 2 r 3 cyclist to peddle together as the entire stretch is of loose red soil covered with lot of pot holes & uneven surface, moreover it's a kachha road which was very slipper, couple of then wanted to try & stopped in between but few were able 2 come up with lots of struggle. People like us choose to push our cycles & reach the hill top. 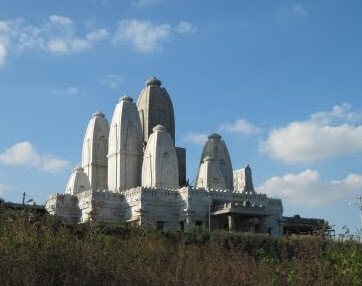 We reached on d top of the hill by 7-45am & decide to opt 2 get into the temple. Luckily while we were in d temple the priest told us 2 stay for 5 more Min so as to take Maha Aarti, after aarthi we were given Prasad came out & started peddling back 2wards Srikanth's residence @ VK Apartments which is located around 5Km from Omkarhills. He had arranged an breakfast. Since the return was full of uphill’s hence took lot of time to reach. We stopped @ 3 places to pool up & restart. @ 8-45am v reached Srikanth's house where we were welcomed by his Dad & Mom. Khara bhat & Sweet were served followed with Badam milk. It was almost 9-30am when v started back. We never felt we had d b/fast @ this place though most of them had 2 serving but still we were feeling lighter. 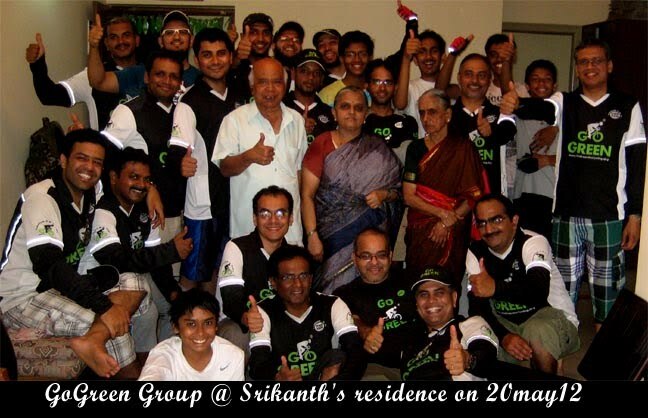 Thanks 4 Srikanth, his Dad & his Mom for inviting the GoGreen team to their house & taking care of the team. 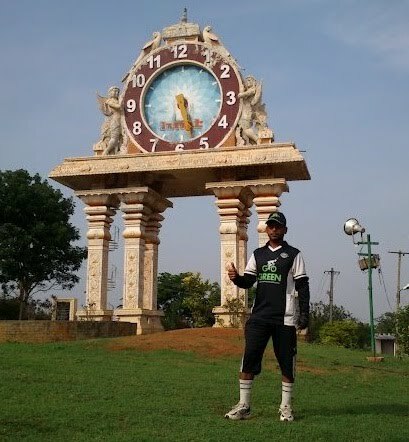 Though it was a small ride but the destination choose by Srikanth was too good that made everyone feel happy. Quite a few were existed but all in all everyone liked the most due to uphill struggle which was a nice Exercise 4 d day, if missed out which eventually would have turned out 2 lazy Sunday.